From heavy blues to heavy metal, the SH-4 JB Model from legendary manufacturer, Seymour Duncan, boasts tones from warm to raw rock 'n' roll. This pickup comes in a white colour. The JB model has become an archetype hot-rodded humbucker for over 30 years. This model comes in a white colour. From heavy blues to heavy metal, this pickup works a charm. 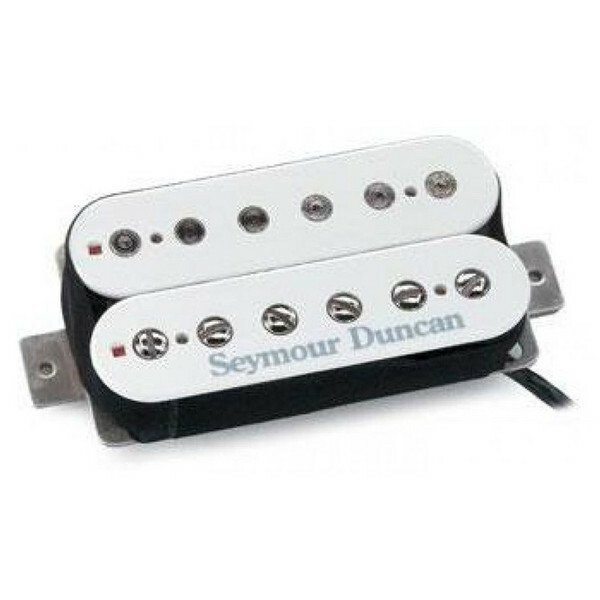 These pickups boast uses by famous players including Paul Stanley (KISS), Gary Rossington (Lynyrd Skynyrd), Ty Tabor (King's X), Steve Marker (Garbage), Nick Hexum & Tim Mahoney (311), John Connolly (Sevendust) and Dave Mustaine (Megadeth).